You know all about Dubai. Since emerging out of the sand dunes as a Middle Eastern cultural and economic hub a little over a decade ago, the city has become shorthand for excess and extremes: the tallest building in the world, the islands shaped like palm trees, the miles of luxury penthouses. But about 150 kilometres south along the Persian Gulf lies Abu Dhabi, the capital of the United Arab Emirates and a city on a similar lighting-fast trajectory — only aimed in an entirely different direction. Abu Dhabi was, in the beginning, a quiet oasis sandwiched between miles of desert; pearl diving was its main industry, and not a particularly big one at that. Then came the oil. Then came the money and the expats and the cranes. So many cranes. But unlike Dubai, with its crass extremism and unrelenting pursuit of the global spotlight, Abu Dhabi has grown in more subtle, curious ways. Its largest building effort to date is not a gleaming high-rise or a luxury hotel, but a public meeting place, the Sheikh Zayed Mosque. Billions have also been spent on cultural institutions, including outposts of New York University and The Louvre and Guggenheim museums. And in a far corner of town, flanked by wind turbines and solar panels, the technology hub of Masdar City, master-planned by Norman Foster, remains one of the most innovative and sustainable infrastructure projects anywhere on earth. 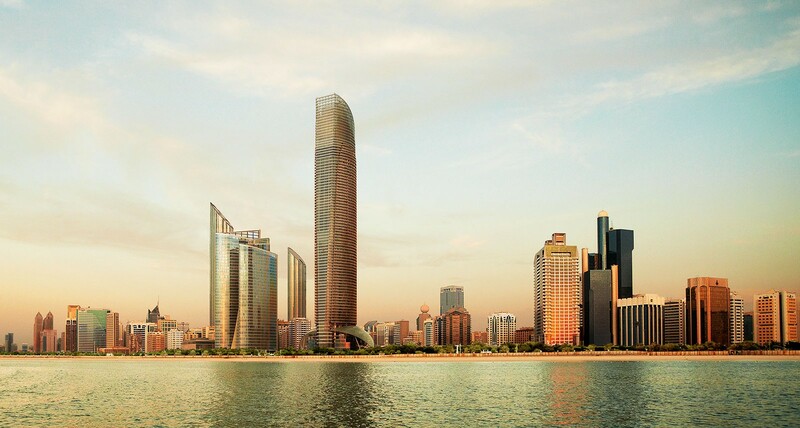 If you want to see the future being built before your very eyes, try a weekend in Abu Dhabi. 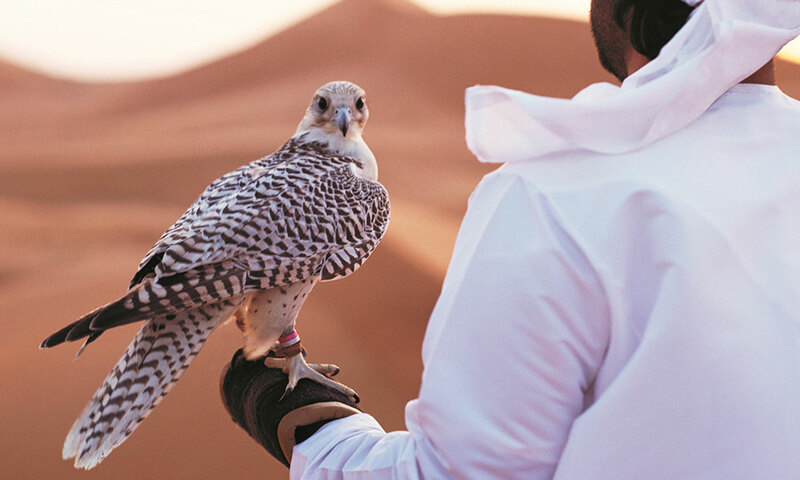 Falconry has been an important tradition in the UAE for thousands of years, first as a means of hunting, then as sport. Now, it’s largely a status symbol. The Abu Dhabi Falcon Hospital is the only one of its kind around: a clinic for sick or hurt birds (for which their owners may have paid upwards of $200,000) and a place for owners to safely store them during molting season. The hospital offers tours, which are fascinating in part for how close you can get to expensive birds of prey, and in part for gawking at the well-dressed locals in the waiting room (not to mention their cars in the parking lot). Abu Dhabi has two speeds: fast, and slightly less fast. For the former, we recommend going in November, when you’ll catch the Formula 1 Grand Prix. If you miss the race, you can always drive the track in an F1 car or a souped- up Aston Martin, or check out Ferrari World, an indoor amusement park designed by the speed demons at the Italian auto house. 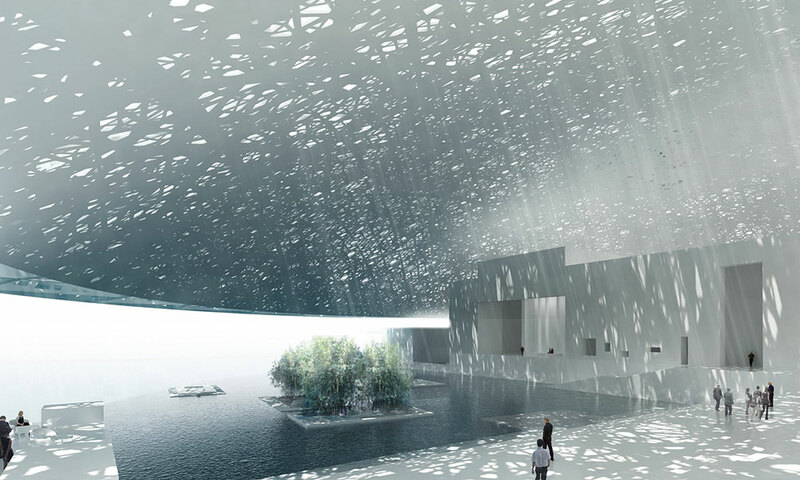 And for the latter, we recommend spending the day at Sadiyaat Island, where the Jean Nouvel-designed Louvre, featuring collections shared with the famous Paris gallery, is opening later this year. It happens almost instantly: drive out of town and the concrete suddenly gives way to sand, miles and miles of sand. About two hours south, near the UAE’s border with Saudi Arabia, is Qasr Al Sarab, a resort complex plunked right into the seemingly inhospitable dunes of the Rub’Al Khali desert, the largest uninterrupted stretch of sand desert in the world. (Also, incidentally, where many scenes from the latest Star Wars movie were filmed.) 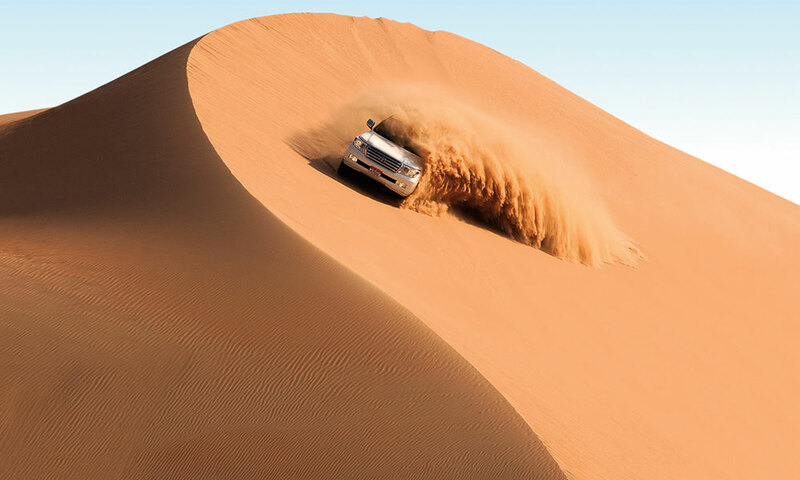 Here, you can venture out onto the untouched plains by camelback, or jump into a Land Rover for dune rides, or just stretch out by the pool and bask in the heat of the sun. Not to be missed: an early-morning sunrise hike, where you can stand, bare feet in silky sand, and watch the sun come up over the world. 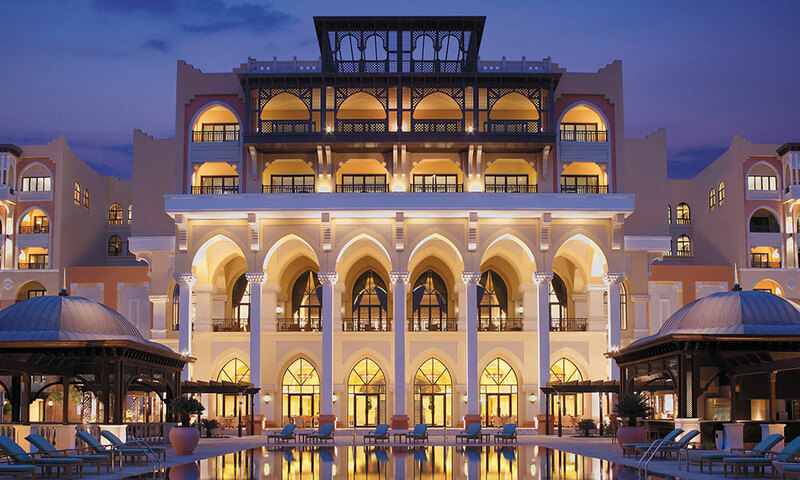 Hotels are the lifeblood of Abu Dhabi, because everyone comes from somewhere else. There are the actual tourists, sure — the Sheiks and Arabian businessmen, the wealthy European families, those passing through en route to Africa or the Far East. But there are also the expats, those who have come from Australia and South Africa and Texas and France to work in the hotels and the banks and the always-booming oil industry — those who have been visitors for a decade, constantly perched somewhere between staying and going, building things and making money. And drinking, which, thanks to the strict religious laws of the UAE, can only be done in hotels. As a result, they are always full, and they are many — every luxury brand is represented here, and dozens are still under construction. The Shangri-La Quayat Al Beri stands out among the pack, mostly for its location: it’s almost dead centre in the middle of Abu Dhabi, an easy drive from the airport, the Corniche, and the cluster of islands that make up the city. Most of the hotel’s 213 rooms overlook the luscious Khor al Maqta waterway, and offer views of the city’s great landmarks, including Zaha Hadid’s curvaceous Sheikh Zayed Bridge and the breathtaking Sheikh Zayed Mosque. 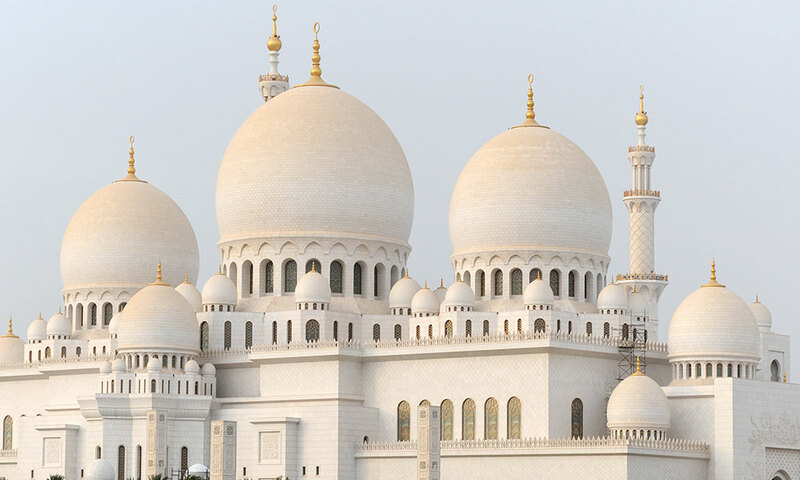 Visible from nearly everywhere in Abu Dhabi, the Sheikh Zayed Mosque is one of the grandest landmarks anywhere in the Middle East. Commissioned by the UAE’s late president Sheikh Zayed bin Sultan Al Nahyan to be a national centre for prayer, construction started on the building in 1996 and didn’t finish until 2007 at a cost of undisclosed — and unguessable — billions. The gleaming white structure is clad in marble, with designs inlaid with precious stones, gold, and mother of pearl. The mosque is open to the public most days during the day, and it should be the first place you visit. We wouldn’t normally mention the airport. Flying, regardless of which airline you’re on and what welcome cocktails they’re serving, is mostly perfunctory — you go from one place to another, like you’ve done dozens of times before. But flying into — and, especially, out of — Abu Dhabi is different. 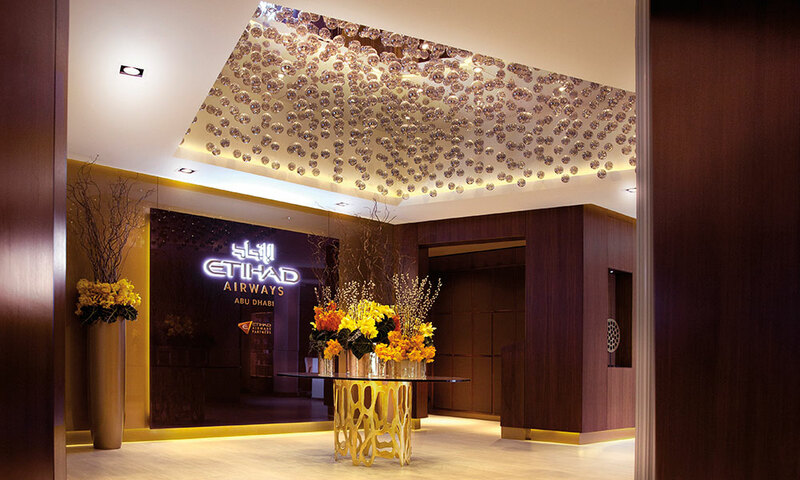 The new Etihad First Class lounge at Abu Dhabi International Airport, which opened this spring, is, for lack of a better word, totally bonkers. The 18,000-square-foot space includes a barber shop, a cigar lounge (no sad smoking room for you! ), a fitness centre and spa, and, of course, the requisite dining and bar options. If you aren’t already flying first class, this lounge is worth upgrading your ticket.